Looking for ideas? Here you'll find a large selection of fine jewelry items that will make a great gift for any occasion! How about a beautiful heart pendant? 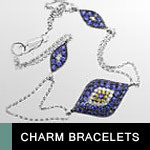 Take a look at our collection of pendants featuring gemstones, diamonds and precious metals. A fun colorful pair of gemstone earrings may be just what it takes to spruce up a fancy wardrobe. Sunny citrine gemstones, sky blue topaz, fiery garnets, and other various precious and semi-precious gemstones – you can find these and so much more in our store. If gemstone earrings and heart pendants do not fit the bill, perhaps a gemstone necklaces will. 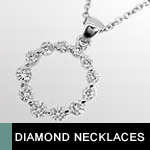 Our vast selection of fine gemstone necklaces features a variety of styles, metals, and gemstones. We have a necklace for every taste and budget. 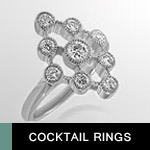 Anniversary rings also make a wonderful gift for any special occasion. 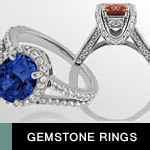 We carry a number of styles set with white and/or colored diamonds, as well as, precious gemstones. In our store you will definitely find a ring to reflect her personality and style.